Posted April 14, 2019 at 12:38 am . 0 comments. 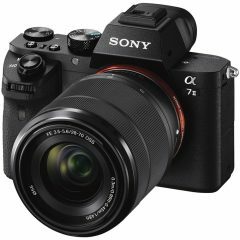 Authorized Sony dealer BuyDig has a stellar deal, bundling the Sony Alpha a7 II with FE 28-70mm f/3.5-5.6 OSS Kit with a free SanDisk 64GB Extreme SDXC and a Vanguard VEO 2 204AB tripod, for only $998.00 — a $600 savings from the regular price! This deal is only available while quantities last. You also get free 2-day express shipping with coupon code “BDEXPRESS”. Check out the deal at BuyDig. Posted April 14, 2019 at 12:28 am . 0 comments. Posted January 14, 2019 at 7:07 am . 1 comment. KEH Camera started a huge sale on their used gear, until midnight ET tomorrow. You can take 20%-off accessories, 15%-off used lenses and 10%-off used bodies when you apply the coupon code “GEAR1A” at checkout. 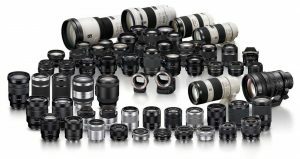 15%-off lenses is the largest discount on used lenses that we have seen at KEH. Check out our KEH Stock Tracker to see all the items available. Posted December 10, 2018 at 8:15 am . 0 comments. 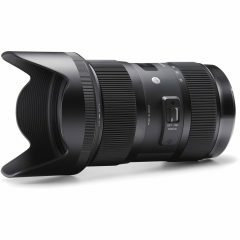 Today’s B&H DealZone (one-day deal) features a very hot $350 discount on the popular Sigma Art 85mm f/1.4 DG HSM for Sony E. It’s now only $849.00, the lowest price we’ve seen yet! Canon, Nikon, and Sony E mounts are available. You also get 2% rewards towards a future purchase, with the Canon or Sony E mount lens. Posted December 4, 2018 at 7:13 am . 0 comments. 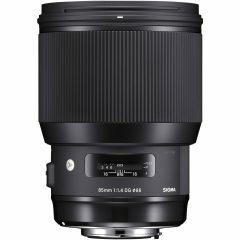 Today’s B&H DealZone (one-day deal) features the Sigma Art 18-35mm f/1.8 DC HSM for Sony Alpha for $549.00. Save $250 from the regular price of $799. You also get an 4% B&H reward towards a future purchase at B&H! 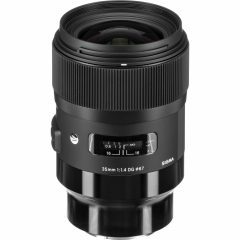 This is the lowest price seen yet for this stellar lens. Please note this is a DC lens for crop sensor bodies only. This deal is today only or until sold out. Posted November 23, 2018 at 10:09 am . 0 comments. 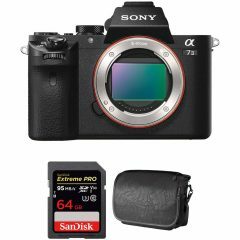 B&H Photo Video has a nice Black Friday bundle deal of the Alpha a7 II, a SanDisk Extreme Pro SDXC Class 10 UHS-I 64GB and a Tenba Switch 7 bag for only $898.00. Click here to check out the deal at B&H Photo Video.